Happy November! The year is coming to an end quickly isn’t it? Since it’s Sunday, I’m linking up my weekly meal planning with Laura of Mommy Run Fast and Jill Conyers for the What’s For Dinner linkup. 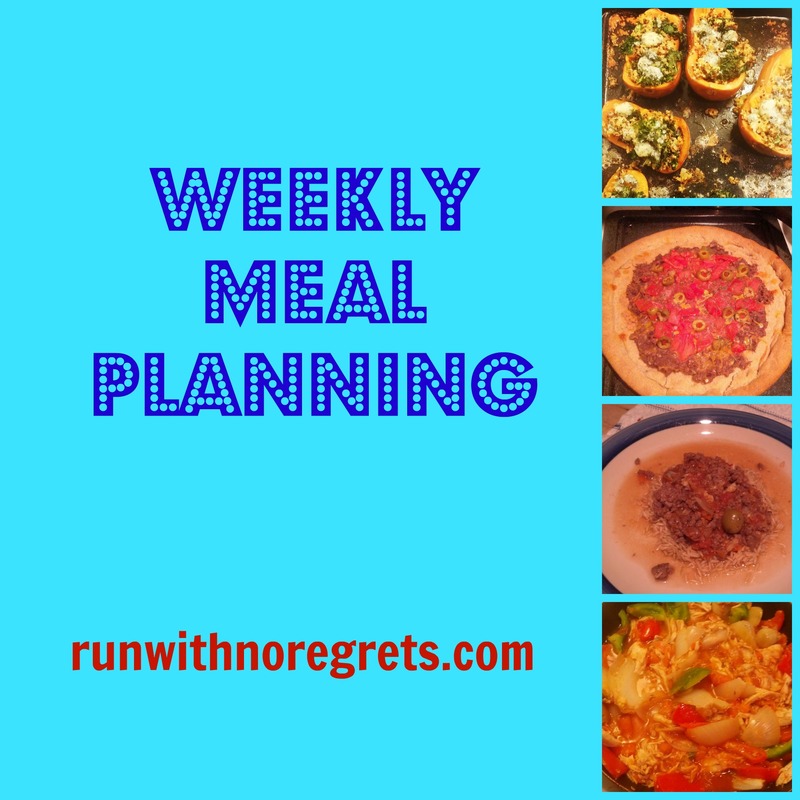 This is a great way to get inspired and stay accountable when it comes to meal planning. I’m happy to say that meal planning and prepping went really well in my first week back. Of course as usual, everything didn’t go to plan, but overall the first week back to meal planning was a success! Now I need to keep that momentum going and stay consistent, making meals that are nutritious and relatively easy to prepare. We’ve got some candy in the house, and I need to stay away from it! It was the first time in a long time that I made a quiche for breakfast. 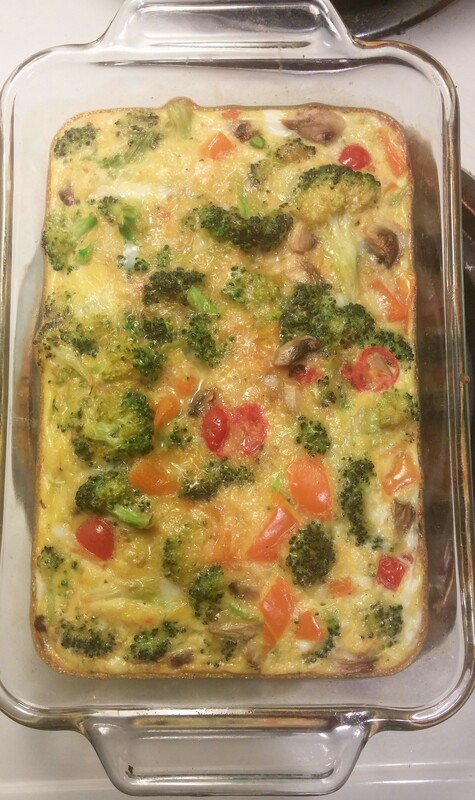 The best thing about it is that it’s so easy to make – saute veggies on the stove, then mix in with 6 eggs to transfer in a greased pan and bake at 375 degrees for 15-20 minutes. You can really use whatever veggies you have on hand. I ended up using a lot of broccoli which was a first – I’m not sure I’d use as much the next time. I’ve also made the quiche in muffin form, and I think I prefer it. The pan wasn’t deep enough, so I didn’t really feel like the quiche was as filling as I’d like. And don’t be fooled by the photo – this was a pretty small pan. I’d have to double this up to really make it work for the whole week. These were really good! Very easy to make and a little bit addictive. I started eating 2 of these with my quiche for breakfast because again, I needed to make sure I had a filling breakfast! Sometimes I’d have a banana with this meal as well. I would definitely buy the Krusteaz muffins brand again – if you didn’t know, they make amazing pancake mix as well! The weekly lunch prep really is one of my favorite time-savers. Neither the smoothies or sandwiches were very photogenic, but they tasted pretty good! The big stars were swiss chard and kiwi berries – both were neglected in our farm share offerings so it worked great. I’m realizing I love smoothies with almond milk – there’s just something about the nuttiness that I really enjoy. The tuna salad included black beans, cumin and cilantro with 2 parts mayo, 1 part Greek yogurt…I didn’t have any corn. It was pretty flavorful, so I’d probably make it again. We had pork chops a couple of nights last week that Bret prepared. 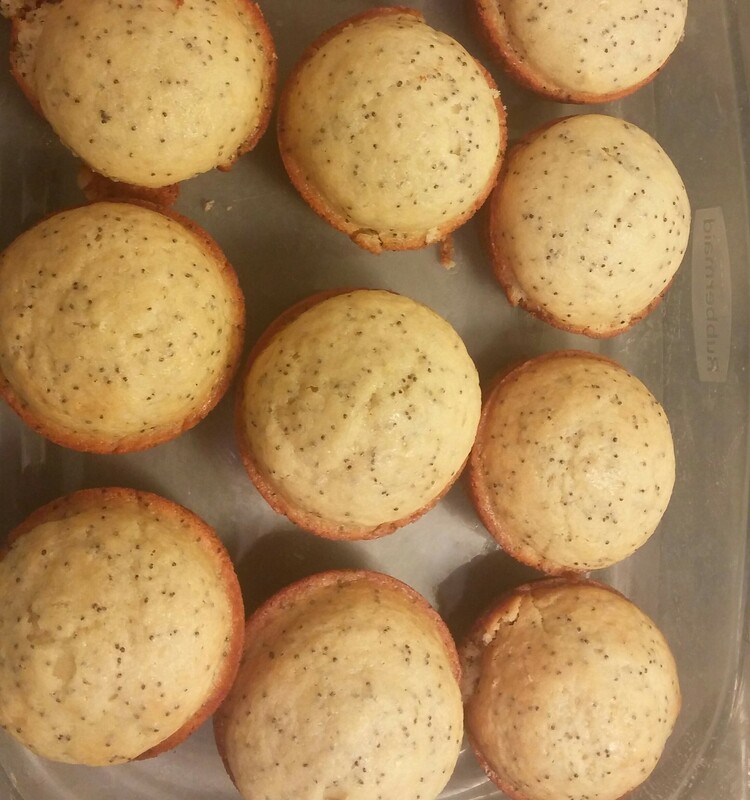 My plan was to bake them and have cornbread and veggies, but my week was a little hectic and it didn’t work out. I wish I took a picture of his meals – he did a great job. This week I’ll just keep doing what I’ve been doing. Since I’m off on Friday, that gives me a lot more freedom for cooking towards the end of the week and into the weekend – so I don’t have to plan everything! Apple cinnamon muffins – this is the other box mix I purchased. I bet they will be tasty! Skinny sloppy joes with sweet potato fries – let’s try this again! Luna bars – always taste like dessert! What do you have on tap for meals this week?